I’m not sure who to credit this diagram to, but I wish I could because its a lot of fun to look at! 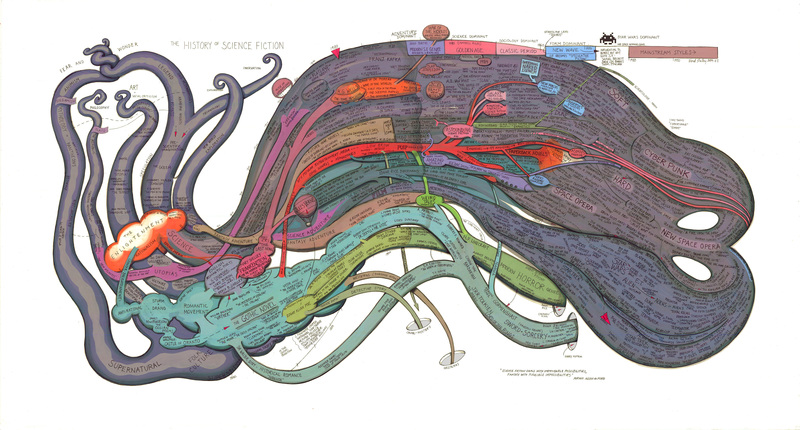 I’m getting ready to start the Dune Series by Frank Herbert – which is just below the New Wave header in the diagram. How many of these classics have you guys read?